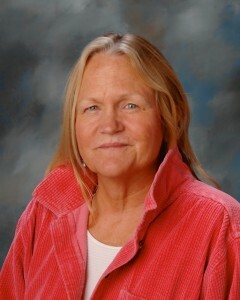 Cynthia Mitchell has been leading PVHS’s mathematics department since the high school was resurrected in 2002. She has been instrumental in growing and mentoring the mathematics faculty and molding them into one of the premier mathematics staffs in all of California. Prior to her time at PVHS, Ms. Mitchell taught Geometry and Calculus at Palos Verdes Peninsula High School from 1999 to 2001, taught Geometry and Calculus at Bishop Montgomery High School from 1985 to 1999 where she was also the Girls’ and Boys’ Athletic Director while coaching the Girl’s Softball and Basketball teams, and taught Algebra and Physics at Gardena High School from 1984 to 1985. Ms. Mitchell graduated from the California State University at Dominguez Hills where she also earned her teaching credential. Ms. Mitchell has two sons, Michael, who graduated in 2008 from PVHS and David, currently at PVHS and playing on the varsity baseball team. Ms. Mitchell and her family enjoy snowboarding in the winter at Mammoth Mountain and water sports in the summer on the Colorado River. The mission of the Palos Verdes High School (PVHS) Mathematics department is to provide a world-class learning experience for all students and to provide those students with the mathematical knowledge necessary for success in College and in all aspects of their lives. Part of the success of our students is due to PVHS’ block period schedule. It allows for more instruction time, more teacher-student interaction time, and more time for test preparation. The PVHS Mathematics department has created a fully comprehensive Math program that addresses the needs of every individual student. From Algebra to Advanced Placement Calculus, the PVHS Math curriculum covers every area of high school mathematics, and also includes non-traditional courses in Statistical Analysis and Engineering. Our outstanding mathematics faculty, which includes one PhD and several Masters Degrees, can provide a rigorous set of Advanced Placement and honors courses. Advanced Placement classes that earn College credits are available in our Calculus AB, Calculus BC, Advanced Calculus, and Statistics Analysis AP classes. The department also boasts an award winning Math Club that participates in competitions at Pepperdine University, Caltech, and Cal State University, Long Beach. Students also benefit from a number of extra-curricular math programs, including Math Competition, The Bay Math League, the California Math League, the Mandelbrot Contest, and the American Mathematics Competitions. We also have an active membership in the national mathematics honor society, Mu-Alpha-Theta where students can join and receive national recognition.